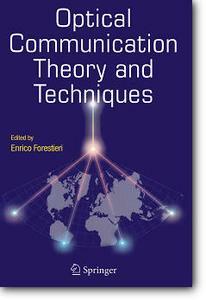 This book is a collection of papers dealing with the theoretical aspects of optical communications. It is divided into four parts: Information and Communication Theory for Optical Communications; Coding Theory and Techniques; Characterizing, Measuring, and Calculating Performance in Optical Fiber Communication Systems; and Modulation Formats and Detection. Each paper is self-contained, and will give the reader a clear picture of the treated topic, an overview of the theoretical aspects, and an idea of the most recent advances.